Thank you so much for your good wishes, blessings and comments! 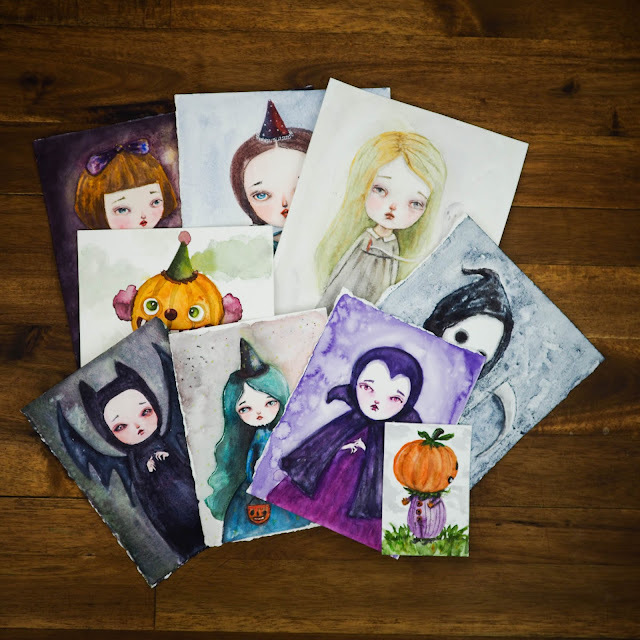 We're slowly adjusting to the new life with new baby and I'm still recovering from the C-Section but I haven't forget about the coming Holidays, so I'm updating the shop with Holiday prints and other pretty stuff. I'll try to update the blog more often with more pics and I'm dying to get back to work. I made some new originals that I couldn't list before but I'll be updating it today. 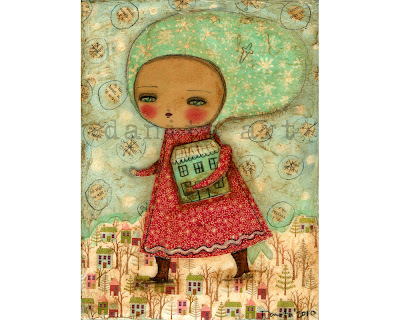 A winter's home. 6x8 on stretched canvas. He's not that bad. 8x8 on stretched canvas. 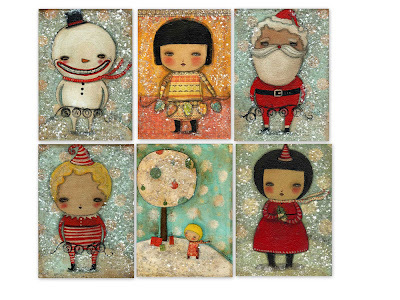 And a set of Holiday ACEOS that can be displayed as little pieces of art or used as tags for your Holiday gifts. Leonardo is a beautiful boy, what a blessing! Danita, the course has finished and I miss you already! It was really great, a dream come true! Felicidades por tu bebé, es muy lindooooooooooooooooo...........todo un angelito, que ternura, que dios lo bendiga. Un besito. Baby is darling! 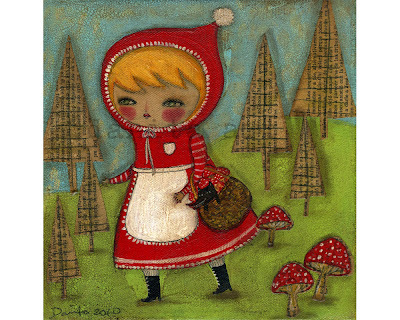 Love the new artwork too...Love the little Red Riding Hood! 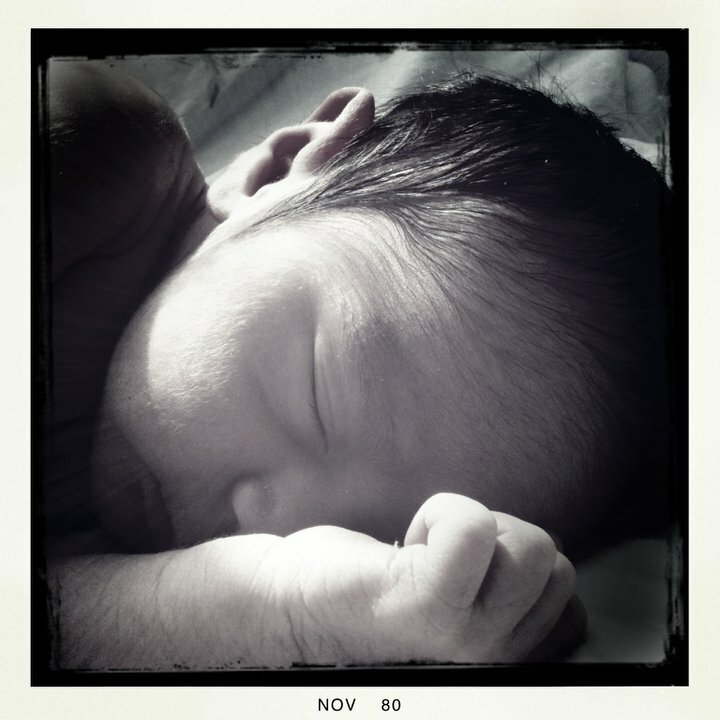 It's so wonderful to see such a lovely pic of the baby - he looks so peaceful! And I'm off to check out your shop now to see your new stuff!! ohhhhhh!!!!! muchisimas felicidades danita! te deseo toda la felicidad y salud para tu pequeño! Beautiful baby! Beautiful art! Beautiful you, Danita! Enhorabuena Danita!!!! un bebe precioso...Os deseo muchas felicidad!!! Oh, isn't he precious? YES! but so is your gorgeous halloween princess daughter! What a beautiful son you were blessed with. Much happiness to you and your family~ May your recovery be speedy. Congrats!! Bello , todo bello y sumamente bello !! !